Retailer Sofmap's online site contained the below image for its Persona 4: The Ultimate in Mayonaka Arena listing. Notice anything, internet detectives? 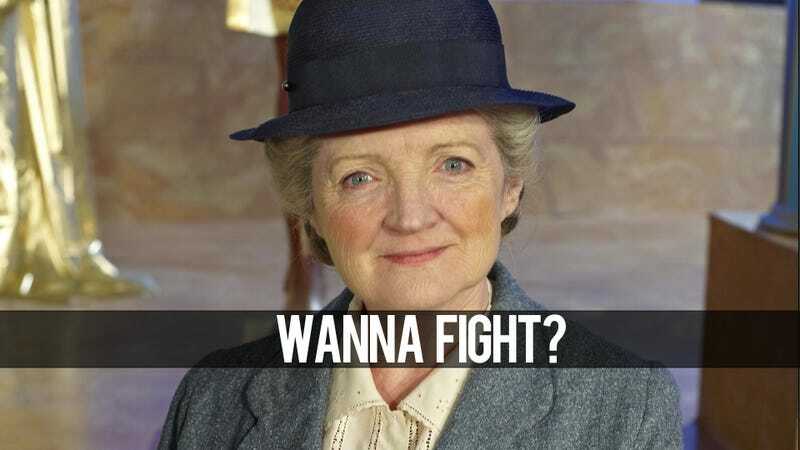 That's right, Miss Marple. So does that mean amateur sleuth Miss Marple is joining Atlus' Persona 4 fighting game, to show those young, fancy JRPG characters the true meaning of an Agatha Christie smackdown (whatever the hell that means!)? Holy crap, I hope so (eh, no). Sofmap updated its site to correct the error—an error that resulted in a few good-hearted chuckles and lingering hopes for future DLC. Make it happen, Atlus!